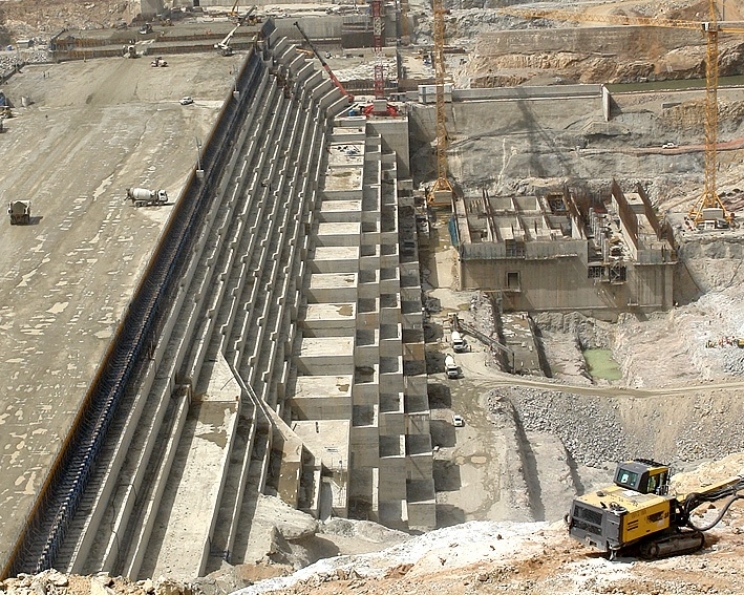 Egyptian officials are outraged by remarks by Ethiopia’s communication minister that the Grand Ethiopian Renaissance Dam (GERD) is about 70 percent complete. “When the turbines are installed, 70 percent of the project will be complete,” Reda said during an interview. Reda added that most of the civil engineering work on the dam have been completed. While 50 percent of the construction work has also been completed. Since 2010, when Ethiopia announced its plans to construct the 6,000 MW Dam, there have been disagreements with its neighbors. Sudan and Egypt, both beneficiaries of the Nile, have expressed worries about the project. Technical studies into the possible negative effects of the construction of the dam are currently being conducted by Dutch and French consultancy firms. The GERD, which is being built on the Blue Nile, will have a storage capacity of 74 billion cubic meters of water. “These committees are specialised in studying whether the dam would harm Sudan or Egypt and not whether to build or not to build the dam,” Reda added. Reda’s comments apparently did not sit down well with some Egyptian officials who blamed the ineptitude of their mediators. “The Ethiopians are currently talking based on their power, which they gained after the Egyptians has lost all means of pressure due to the impartiality and arrogance of the team responsible for the talks on the dam,” Egypt’s former Irrigation Minster Mohamed Nasr Allam said. Once completed, the GERD will be the biggest hydroelectric power plant in Africa. The Ethiopian government has consistently voiced assurances that the dam will not negatively affect downstream countries – particularly Sudan and Egypt.